3 of the original apps from our April 2010 post are no longer available, but here's 4 more free online IWBs to check out, and they're all collaborative! 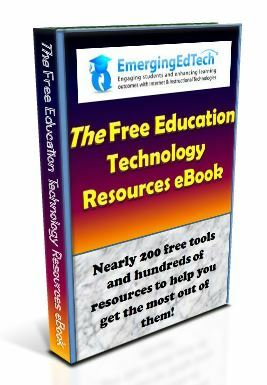 The original April 2010 article, “6 Free Online Interactive White Boards” and the more recent “Using The iPad As A Digital Whiteboard (Plus 4 Cool Free Apps To Try It Out)” have been consistent top 10 pages for viewership here on EmergingEdTech since they were published. Between them, they've had over 55,000 views to date. There is obviously a good deal of interest in free Interactive White Board apps. Unfortunately, several of the tools cited in the first post are no longer online, but there are some other great free digital IWBs that readers provided information about, so it's time for an updated post. I spent some time with each of the remaining functional tools from the April Post. My two favorites from that review, Dabbleboard and ImaginationCubed, as well as Writeboard.com, have all been taken off line. The good news is that I checked out the applications suggested by readers who commented on the original post and four of them have plenty to offer. These apps provide some powerful functionality for free, and each allows for collaborative editing of the white board! 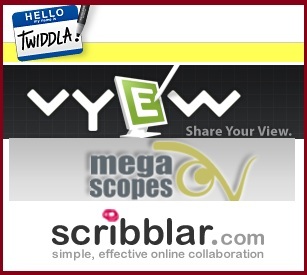 Vyew.com (http://vyew.com): If you click on the TAKE A TEST DRIVE button, a whiteboard session will open where you can invite others, make notations, etc. I set my screen name and used the INVITE function (in the upper left hand corner of the screen), which allows you to set time limits on how long someone can collaborate with you, and choose between 4 roles for them – Viewer, Reviewer, Collaborator, or Moderator. You have to provide a name and email address of your own in order to be able to invite others to collaborate. It took a little while for the session to start on the computer where I opened the invite, but then it worked fine. You can create multiple boards within a session, and there is a great set of tools for varying colors, widths, and styles of ‘pencil', adding shapes or text, editing what you've drawn, and more. 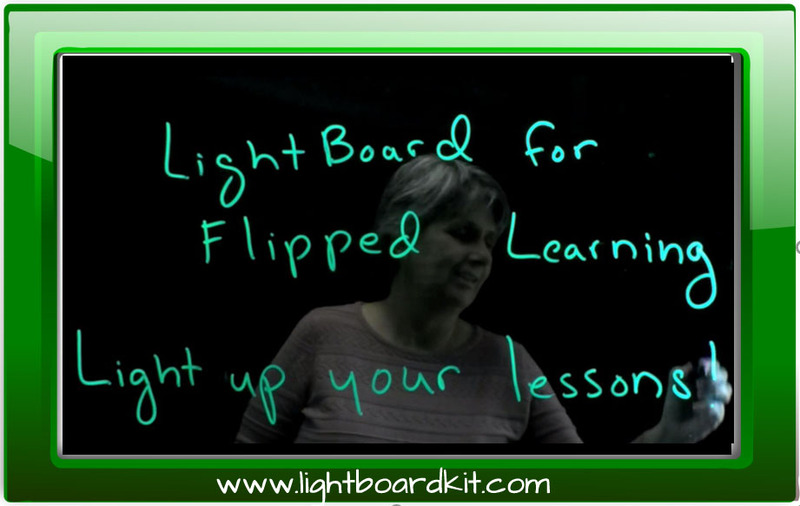 This is a powerful tool and one worth considering if you're in need of an interactive, collaborative white board tool. Skrbl (http://www.skrbl.com): Skrbl is surprisingly still in beta (its been about two and half years since the first review). The free version does not allow for collaboration, but they do now have a team version available for $10/month. One has to wonder though, why bother when the tools above provide this sort of functionality for free? 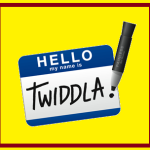 I strongly recommend Twiddla and Vyew, and suggest considering Megascope's Whiteboard, Groupboard, or Scribblar if neither Twiddla or Vyew meet your requirements. If you a are interested in free white board apps for the iPad, be sure to check out, “Using The iPad As A Digital Whiteboard (Plus 4 Cool Free Apps To Try It Out)“. As always, if you know of other free IWB tools or apps, or have experiences you would like to share about using any of the above mentioned tools, please feel free to comment and share! Just came across this one: http://www.pixiclip.com/beta/. Time to refresh this post! 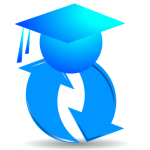 There is also https://teachsquare.org, an online school board with classrooms, webcams, option to create projects, etc. Lightweight Online Whiteboard for Collaboration. Web collaborative board. Place where you can learn with your friends, cooperate with associates or lead your presentation. 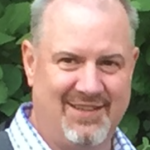 Hi, I’d like to add https://www.learncube.com. We Provide a free virtual classroom with group classes via webcam and a interactive whiteboard. 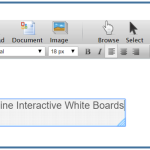 http://sprycanvas.com – a FullHD-sized whiteboard with contact list and text chat. Simple and free. The team here at Limnu.com wrote Limnu because we wanted a real-time collaborative whiteboard that felt like a real whiteboard. Simple, fast, and great for brainstorming with your team, even if your team isn’t in the same room. Check it out! ArcSketch is free online sketch pad to draw/paint anything freely, it also offers many tool to customise your canvas i.e. you can select the color of pencil, you can select the size of pencil, you can customize the canvas size etc. As Frida said, also there are also an online whiteboard called https://www.notebookcast.com , it have many features and you can save whiteboards for later use. Thanks this is a great list! I recently used Lucidchart’s free network drawing tool and it was super easy to understand. They have great online collaboration capability and it’s really cost effective! It could be used as a interactive whiteboard for any kind of project management. Here are a few examples for you to check out: http://www.lucidchart.com/pages/examples/network_diagram_software. Let me know what you think!